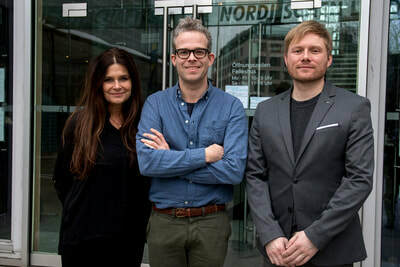 ​HARPA Nordic Film Composers Award 2019 goes to composer Davíð Þór Jónsson and his director Benedikt Erlingsson. This year's five nominated scores for the HARPA Nordic Film Composers Award were vastly different between them but separately they were truly the perfect fit for the stories they were composed for. A supernatural drama from Norway, THELMA, fused atmospheric electronic elements with beautiful acoustic melodic lines. A Danish tale, QEDA, set on a dystopian future, was equally served by a score that was cruising between the ambient evocative score and the immersive sound design. On the contrary the story of GOLIAT didn't want to evoke the audience but to awaken it, like its protagonist, gradually, powerfully yet subtly. The nominated score from Finland, for the high concept of the historical drama, LAUGH OR DIE, from its first frame set the tone of a lyrical, comical and tragic journey, all at the same time. And similarly the determined Icelandic female lead of WOMAN AT WAR, was accompanied by her own... band, that set the tone not only to her story, and the narrative's rhythm, but the character itself, too. This exact last element, together with the exquisite originality of the score and its usage within the film, has lead the jury of the HARPA Nordic Film Composers Award to give the best score award to WOMAN AT WAR. In film scoring the criteria are never solely musical but also include the creative collision of the craftsmanship of a director and a composer. Hence, specifically this year's award goes to both the director composer Davíð Þór Jónsson and the director Benedikt Erlingsson, for the distinct and highly original result their collaboration generated both musically and visually. With this Award this year we wish to further encourage the filmmakers to see music as a significant element of the story that elevates the story's impact and not just as a formulaic ingredient that becomes somewhat important during post-production. Since 2009 the Nordic film composers from the five Nordic countries have met twice a year. 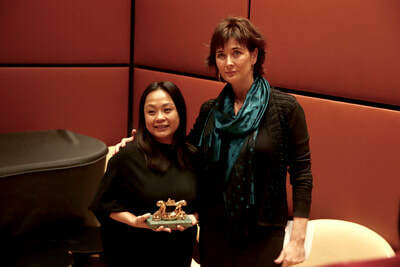 As part of the strategy to put more attention to Nordic Film Music the HARPA Nordic Film Composers Award was created. 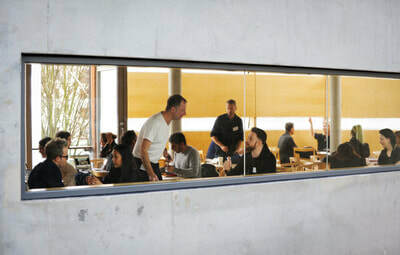 Each of the Nordic countries has been given a free hand to develop an individual profile, collaborative partners and arena for the award ceremony. By meeting at NFMD, the film- and media composers are also exchanging ideas, and thereby strengthening the awareness of the working situation of the film- and media-composers in each country. 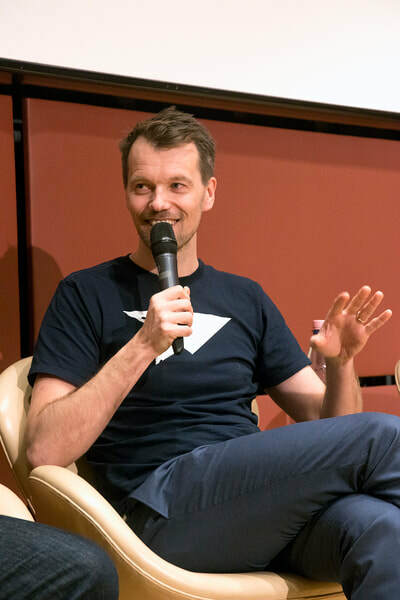 Working from a multifaceted musical palette with a vast variety of experiences to draw from, the Nordic film and media composers are known for their ability to do whatever it takes to tell the story; whatever it takes to serve the film. 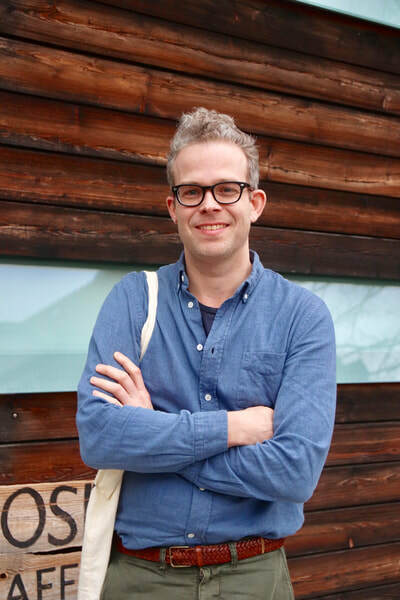 You can say that Nordic composers make their movies and directors win prices. 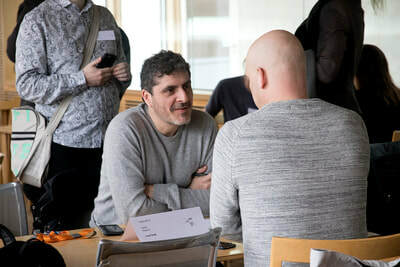 In the seminars and workshops Nordic Film Music Days 2019 will also focus on cooperation. 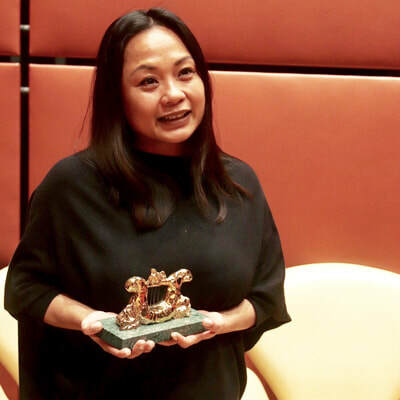 ​HARPA Nordic Film Composers Award will be handed out for the 10th time. 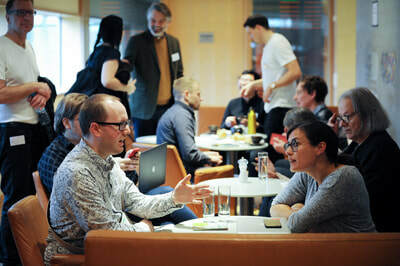 HARPA Nordic Film Music Days will once again take place at the Nordische Botschaften in Berlin's Tiergarten-area and in 2019 Nordic Film Music Days are inviting editors, producers, directors, sound designers a.o. to a session of informal speed-meetings with the Nordic composers. 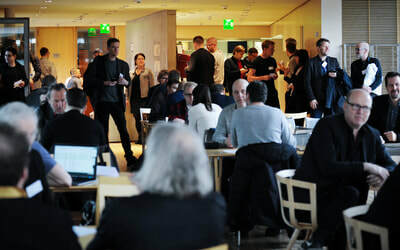 Nordic Film Music Days is an opportunity to see, hear and meet some of the Nordic film- and mediacomposers. 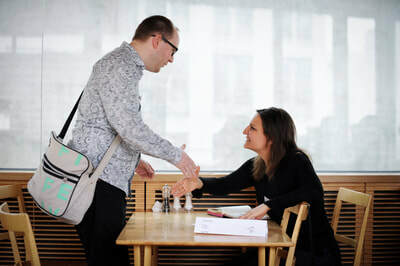 You can attend the seminars and lectures, speed-meet composers, have lunch with them, applaud the winner of the HARPA Nordic Film Composers Award and get a good beer at the afterparty. 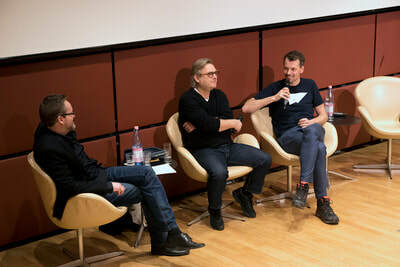 Following the great international branding around "Nordic Noir" and the popular wave of Nordic TV shows, HARPA Nordic Film Music Days offers the opportunity to present Nordic film- and mediacomposers to the film industry at the Berlinale. 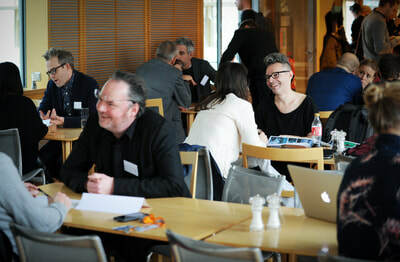 HARPA Nordic Film Music Days will also offer opportunities for capacity-building network meetings and workshops for Nordic film- and mediacomposers. HARPA Nordic Film Music Days is supported by the Nordic Embassies of Berlin. - and sign up for our newsletter! WHAT IS NORDIC FILM MUSIC DAYS AND HARPA NORDIC FILM COMPOSERS AWARD? By meeting at NFMD, the film- and mediacomposers are also exchanging ideas, and thereby strengthening the awareness of the working situation of the film- and media-composers in each country. Please note that for the 2019 edition of the Berlinale Norway will be ‘Country in focus’ at European Film Market. 2010 Gothenburg Dani Strömbäck (Finland) for the music to the Finnish film "Letters to Father Jacob" (Finland). 2011 Copenhagen Gaute Storaas (Norway) for the music to the Norwegian film "Elias og jakten på havets gull". 2012 Reykjavik Fredrik Emilson (Sweden) for the music to the Swedish film "Kronjuvelarna". 2013 Trondheim Tuomas Kantelinen (Finland) for the music to the Finnish film "Puhdistus" ("The Purge"). 2014 Espoo Matti Bye (Sweden) for the music for the Swedish film "Faro"
2016, Berlin Atli Örvarsson for his music for the film "Rams' and honorary award to Icelandic Johann Johannsson. 2017, Berlin and Cannes Sune Martin for his music for "Land of Mine" and honorary award to Bent Fabricius-Bjerre. 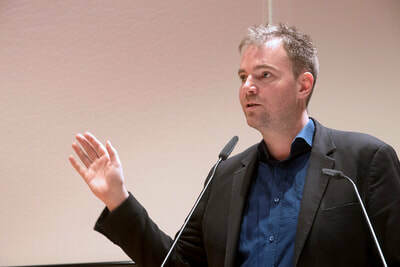 2018, Berlin, Daníel Bjarnason (Iceland) for his score to the feature film Under the Tree. lony@filmkomponister.dk - + 45 23 84 24 56 ​Paragraph. Klik her for at redigere.